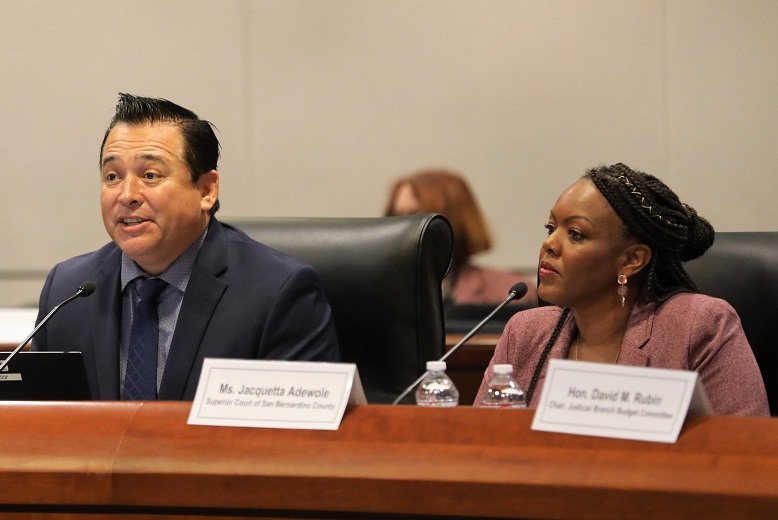 Supreme Court Justice Mariano-Florentino Cuéllar told the council that courts are expanding the use of court interpreters in civil proceedings, providing language help at court counters, and conducting outreach to communities about language services. Irena Asmundson, chief economist at the California Department of Finance, said that although another recession could cause the loss of $25 billion in state revenues, the state has better prepared this time by paying down debts and increasing its rainy day fund. Joe Navarro and Jacquetta Adewole, from the Superior Court of San Bernardino County, explained how the court's videoconferencing service--as opposed to meeting over the phone--in child custody counseling sessions better connects participants and enables counselors to observe body language of the parties. The Carr Fire forced the Superior Court of Shasta County to close its courthouse for a week as it worked with the state Judicial Council to extend statutory filing and arraignment deadlines. During the devastating Camp fire, the council provided the Superior Court of Butte County with air scrubbers and indoor air quality tests to ensure the safety of courthouse occupants in communities with heavy smoke. 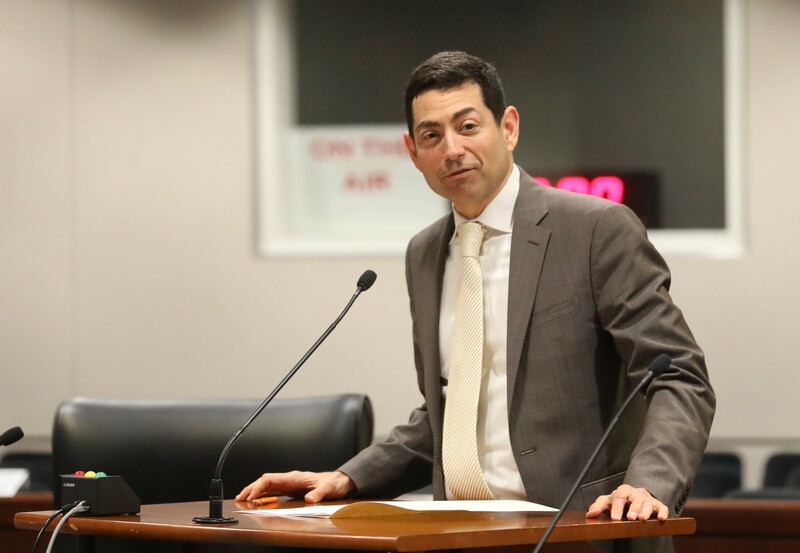 SAN FRANCISCO—The Judicial Council at its January 14–15 business meeting heard from Supreme Court Justice Mariano-Florentino Cuéllar on how California courts have increased access for court users with limited English skills. Successes include expanding court interpreters in civil proceedings, providing language help at court counters and self-help centers, multilingual translation and signage, and conducting outreach to communities about language services. Next steps include improving data collection and ongoing monitoring to assist courts with meeting California’s diverse language needs. The update from the task force reported on its progress to carry out the Strategic Plan for Language Access in the California Courts. The judicial branch has instituted 39 of the plan’s 75 recommendations and 25 more are in progress.